Two teachers explain how an approach to literacy that incorporates an in-school book publishing program has contributed to an increase in engagement levels. About two years ago, Noosa Pengari Steiner School was given the opportunity by the then Queensland Studies Authority to submit its high school courses for recognition. We were a young high school (about four-years-old), so writing the first course for recognition became an opportunity to imagine our school as we would ideally want it to be. We had already been looking at student engagement and how to improve it, understanding that engaged students are motivated students, and that motivated students achieve well academically and in the world. What we really wanted to achieve was a dynamic way of teaching, to utilise our particular attributes as a school to our advantage and leverage off the fact we are a small school. It was clear to us that to achieve these goals we were going to need a grassroots approach to developing our school. Essentially, we really wanted to achieve a dynamic way of teaching, and the ability to utilise our particular attributes as a school to our advantage. Naturally, we wanted to maintain our core educational philosophy, which for a Steiner school includes providing a comprehensive, general humanist education, which aims to educate students for life beyond employment and further study. This presented us with a few challenges, but we deliberately chose to reinvent the wheel. The top priority was student engagement. We came to the conclusion that if you do not have engagement, everything beyond the simplest cognitive tasks could potentially be a lost cause, and that was not going to get us to our goals. So we set out to actively research, measure and improve student engagement. What we realised, was that today’s young people need to be educated in a way that affirms their place and value in the world. This led us to create programs and lessons that either put something real into the world or engaged with the world as it presents itself currently. These tasks, more often than not, require students to use a multidisciplinary approach. In 2010 we started a book project with the Year 10s. As teachers, we believed that the requirements for writing, editing and designing a book for a real audience would elicit all the skills necessary for English proficiency and would engage the students as they would choose their target audience and create the appropriate book for that audience. This meant that each student would be personally invested in every stage of their project. The response to this project was positive and by 2012 we considered it as a tool for improving engagement. English, from then on, was taught through Creative Writing. 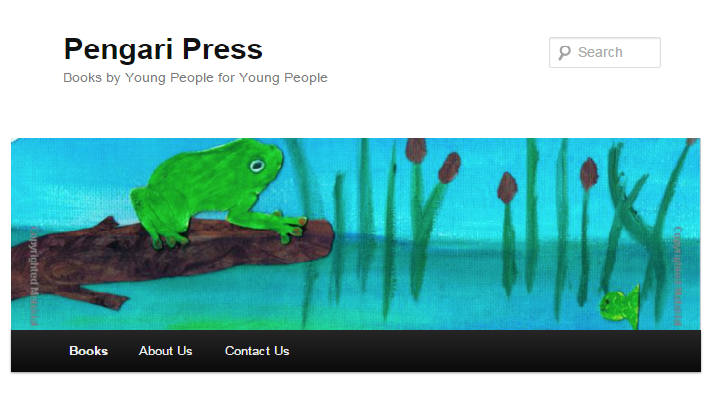 Since then, we have established a press (www.pengaripress.com) and the publishing project has become a focus for all Year 10 students, even though other students in other years submit work and have things published. Regardless of which literature is being studied, or what the content of the curriculum is, the book project is adaptable to any scenario. Over the past few years, students have written and published short stories, children’s books, creative non-fiction and even ‘textbooks.’ The publication process demands that students develop skills in editing, IT, design, art, business (marketing) and in the careful writing and peer reviewing of whatever they are publishing. The press has also enabled cross-curricular work to happen. Year 10 Geography students wrote a Geography textbook based on oceanography. Each Year 10 student wrote their own chapter; they researched, defined and explained a topic, such as, tsunamis, sea-level rise, and tides. They incorporated review questions of key concepts. These chapters were collected into a book which is now used as an additional resource in Year 8 Geography. Measured against expected outcomes for English students, the publishing project enables students to develop proficiency in essential English skills at a level that we believe is higher than they would have achieved without the program. There is evidence to suggest that making publishing part of the English course and putting Creative Writing at the centre has had a significant impact on student engagement and achievement. This was determined through an analysis of student engagement and interest, where in which data were collected over the course of three years (from 2011 to 2014). The rubric used was based on two questions: How important is the subject to you? and How satisfied are you with this subject? The results showed that the general importance of the subject was relatively constant, but with greater emphasis and wider year level participation in the publishing project, there were significant increases to the overall satisfaction rate (moving from 65 per cent in 2012 to 85 per cent in 2013). We also have some evidence to show that, in addition to students being more engaged and motivated, they are achieving better results than they were before we changed our approach. 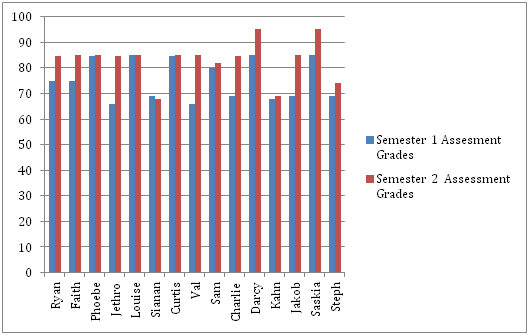 Figure 1 shows the assessment grades for a cohort of 15 Year 10 students who were studying English in 2013. In Semester One, students were studying poetry and also completed a novel study, with assessment pieces that were both critical and creative. In Semester Two, the book project was introduced and students undertook creative writing projects for publication. It is worth noting that English outcomes and achievement standards have been maintained, despite the focus of the lessons shifting from using direct instruction as a teaching method to application. Motivation is contagious. It spills over into other work, other subjects. How do we know when we’ve improved our practice to a degree that our graduates have the attributes they need to succeed, not just at school or university, but in the world? When we see evidence of insight, maturity, ethical awareness, creativity and the ability to critically evaluate; when we see work that can hold its own in the ‘real’ world. This article has been adapted from a presentation ‘Senior Secondary Re-imagined: Improving Practice at the Noosa Pengari Steiner school’ given at the 2014 ACER Excellence in Professional Practice Conference entitled Teachers Driving School Improvement. Noosa Pengari Steiner School’s books are available to be ordered as hard copies on www.amazon.com, or from www.pengaripress.com. Has your school developed a project designed to increase engagement in particular subject areas? What effect has it had on student engagement? How are you assessing the impact? Are you still publishing? Is it expensive and how fo you manage this?